1. 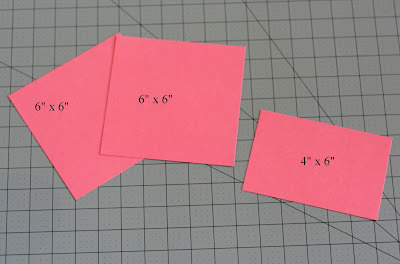 Cut cardstock to the sizes below. This card can be created to any size you like, I am going to show a card that measures 6” x 6” when complete. 2. 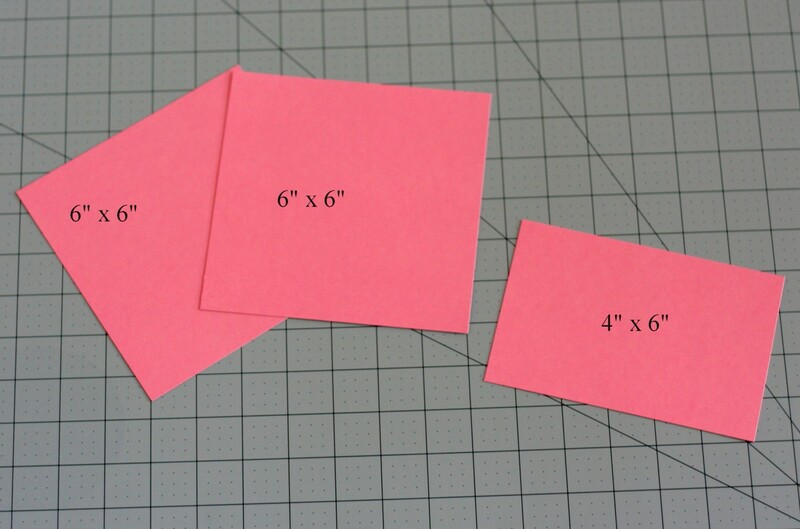 Score the 4”x 6” piece every 1” down the long side. This will create the bottom of the card. Fold in the valley, mountain, valley, style. 3. 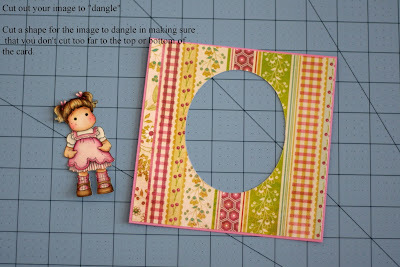 Glue the design paper to the base cardstock to create the front panel, then, cut out the shape that you want the image to “dangle” from. 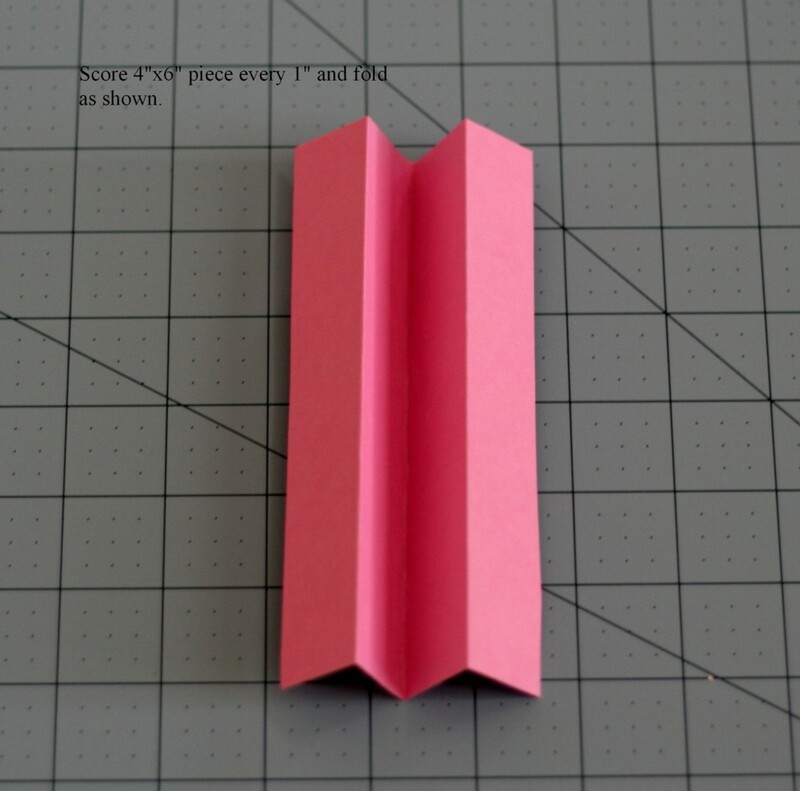 You will be cutting through 2 thicknesses, but it will align much better this way. 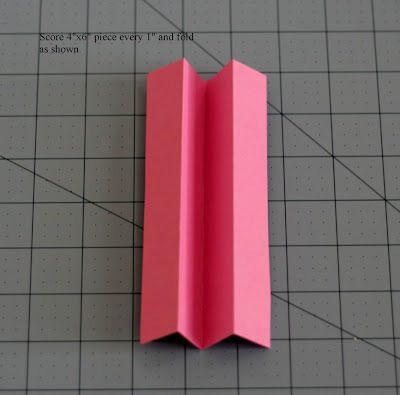 *Make sure the shape that is cut out is not too far to the top or bottom. When attaching the folded piece to the bottom you don’t want the fold to show through the opening. There should be a small space at the top for hanging the image. 4. Now attach the smaller folded piece to the fronts and backs making sure you align them before setting the glue too firmly. 5. The card should now look like a tent when standing. Punch a small hole in the top of the image to dangle and the top of the front panel where it will hang. Use jump rings to hang your image. It can be held together on the sides or the center with ribbons, brads, or whatever you like. The back side can be decorated also with sentiments or other images. Genial este tutorial, me habia preguntado como lo hacían,gracias. Super cool card, I will be making one today! Great tutorial! 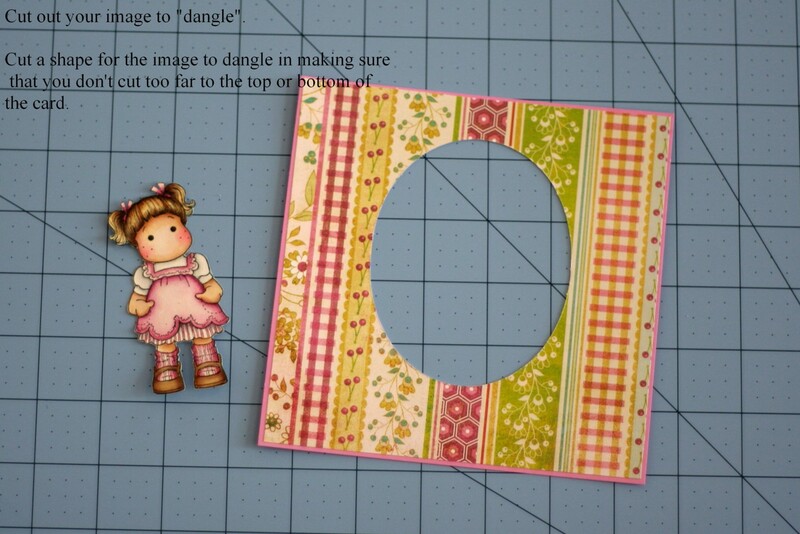 Thank you for this fun tutorial, looks quite easy to make. Cool card. Tks for the tutorial!